Welcome to Indy Core Wellness & Fitness the premier Fitness, Wellness and athletic Development Studio located on the Northwest side of Indianapolis. We hope you enjoy your time browsing our site and we look forward to providing you with up to date exercise tips that will help you transcend your training goals and reach new levels of overall health. Whether your interests lie in improving general fitness, losing weight, gaining muscle, rehabbing injuries or developing all aspects of athleticism for sports Fitness, Indy Core Fitness has assembled a term of Masters degreed exercise and fitness professionals that specialize in every aspect of training. Providing individualized training dedicated to total well-being and lifelong fitness; utilizing functional training, fundamental fitness principles, and the five dimensions of wellness. Indy Core Wellness & Fitness provides our clientele with private, semi-private and group fitness that are geared toward each individual’s specific needs. Utilizing scientifically based research, our programs focus on assessing end improving the body’s muscular balance, increasing muscular and cardiovascular efficiency while decreasing the risk of injury. Founder and President, Kim Rockey, has a Master of Science in Physical Education with an emphasis in Athletic Training from Indiana University. Rockey is also a Certified Mobility/WOD Coach that allows her to work with athletes and cross fit training. A former Ivy League professor with 18 Years of experience as a women’s collegiate basketball coach for several prestigious universities including Butler and Columbia. 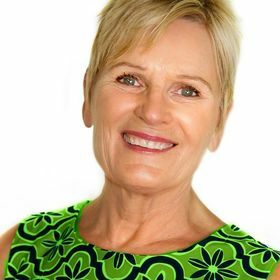 Keeping wellness in the forefront of her training and workout recommendations, Kim provides safe and effective exercise prescriptions for a wide variety of clientele. 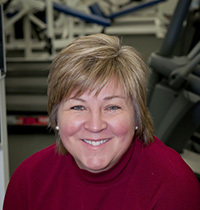 Nicholson has a Bachelor’s Degree in Physical Education and Health from Butler University. The Elkhart, Indiana native participated in five different high school sports teams and is a three varsity sport athlete and senior tri-captain. He graduated from Elkhart Central High School in 2009 with class record ten varsity letters. Nicholson currently serves as a baseball, basketball and football coach, skills trainer and performance fitness instructor for Primetime Sports in Indianapolis. Without our health, we don’t have much…In 2003, I launched my personal chef business, focused on healthy home cooking in order to help others LIVEBETTER with better food and more time to focus on other areas of their lives. In November 2017, I became a Certified Health Coach and now offer clients a variety of customized programs created around their specific needs and health goals. It’s exciting to see others claim their health as a priority! helping others LIVEBETTER with value driven solutions and ideas. Using Facebook LIVE, I share information focused on teaching a skill, solving a problem or talking about something I feel might inspire those watching…I’m a people person and if you would like to connect, please contact me. 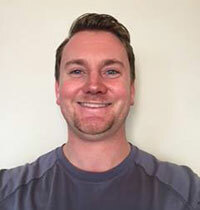 Dr. Chuck Kutch is a sports rehab and functional Chiropractic Physician that specializes in improving and restoring one’s health, function and performance, through corrective exercise analysis and chiropractic and soft tissue treatment protocols and whole food nutrition principles. 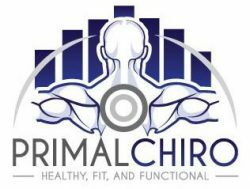 Dr. Chuck has integrated this into the Primal Chiro wellness plan that includes a trio of complete chiropractic care with corrective, functional weight training and sound whole food nutrition. 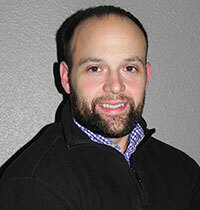 Dr. Chuck earned his Doctor of Chiropractic from Logan College of Chiropractic in Chesterfield, Missouri. He holds a Bachelor of Science in Human Biology and studied Exercise Science and Biomechanics while attending Indiana State University. Dr. Chuck also assisted with Strength and Conditioning for Rose Hulman Athletics.